Missoula, Montana can be hard to define: quintessential college town, counter-cultural stronghold, Rocky Mountain recreation hotspot, beer-brewing hub of Montana. Wander through the city’s vibrant farmer’s market on a Saturday morning and you’ll see die-hard Grizzly fans rubbing elbows with moms quaffing locally-made kombucha after their morning trail run or mountain bike ride. But unlike scores of other pretty, polished mountain towns, Missoula still has an authentic, gritty vibe that’s both welcoming and proud. 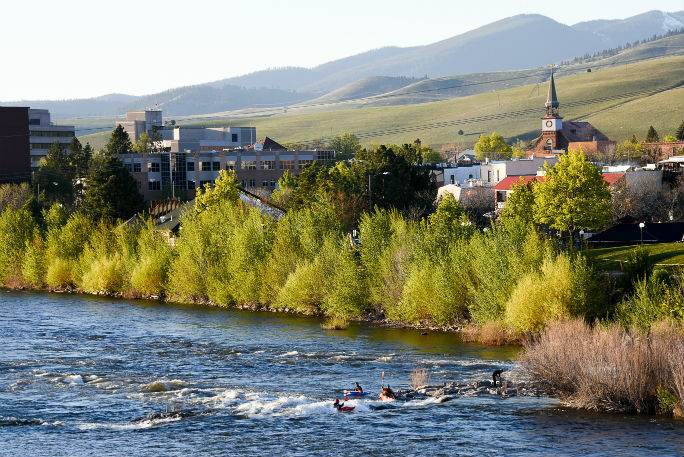 Missoula sits in an ancient glacial lakebed, at the convergence of five different mountain valleys, earning it the nickname, “the hub of five valleys.” With valleys come rivers, and Missoula has plenty. 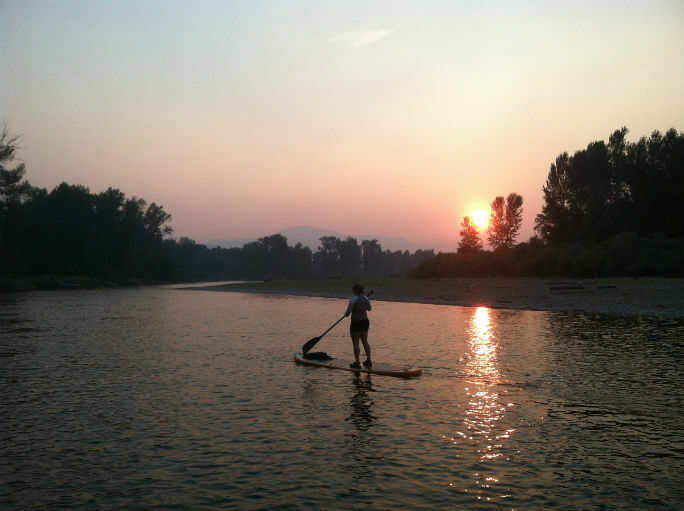 The Clark Fork River is Missoula’s heart, metaphorically and geographically. 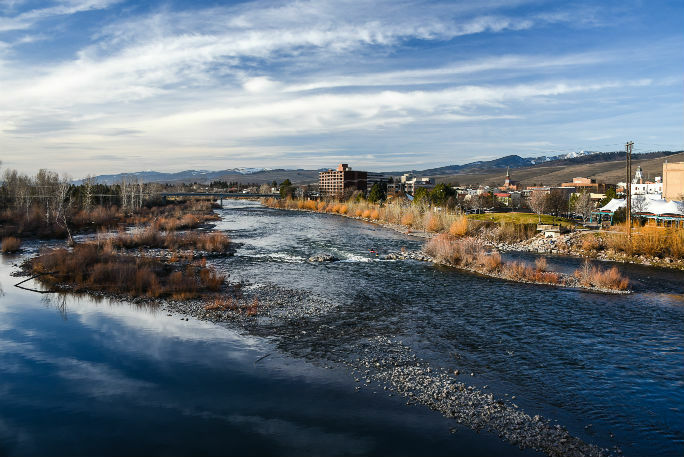 Coursing through the city’s bustling downtown, the Clark Fork offers ample opportunity to float, fish, sunbathe or simply take it all in from a riverside restaurant or park bench. If you’ve ever wanted to try river surfing, Brennan’s Wave is the place to start. Rent a surfboard (and all other gear) from Strongwater Mountain Surf Co. and walk a few blocks to the access point by Caras Park. In the middle of downtown you can practice your acid drops on the middle wave or hurl yourself onto the main wave and test your pop-up skills. Brennan’s is not a spot for the shy or reluctant, with several vantage points surrounding the wave, a crowd inevitably gathers to watch surfers. The on-wave scene is pretty friendly, though, with kayakers and surfers rotating on and off the wave. It can be busy after work and on weekends. To have the wave to yourself, whatever craft you’re using, weekday mornings are the best time. If you’re less interested in getting on the wave, but still want to check it out, head to Caras Park for one of the many year-round festivals that party-hearty Missoula hosts. The riverside park is a gathering spot for brewfests, music events and even skiing and snowboarding competitions as Missoula gears up for winter. If arts are more your scene, First Friday is a lively celebration that happens from about 5-8 pm on (you guessed it) the first Friday of every month. Missoula boasts a varied and sophisticated restaurant scene. Snag a hearty breakfast at downtown’s Catalyst Cafe or explore one of Missoula’s historic neighborhoods and check out the weekend brunch at the Burns Street Bistro, conveniently located near the Missoula Co-op. The five-dollar homemade biscuits and gravy is a no-brainer. Add candied bacon and a fried egg (or two) and you’ll have all the fuel you need for a morning paddle. Grab a sandwich to go at the Market On Front, a block north of the river on Pattee and Front to get you through to dinner. Three rivers converge within minutes of Missoula. To the south, the Bitterroot River drains the spectacular valley that bears the same name. The Bitterroot provides mostly easy floating, especially later in the season. But don’t underestimate this Class I water, numerous braids and several forests worth of wood make navigation dangerous at higher water and in the river’s upper half. Beginning stand-up paddlers should stick to the stretches north of Stevensville, while intermediates can try their luck from Hamilton north. Houses line much of the Bitterroot’s banks, but the sweeping views of the Bitterroot Mountains to the west make up for their omnipresence. To catch a glimpse of the Bitterroot of thirty years ago, pre McMansions and rip-rap, put in at Chief Looking Glass fishing access just north of Florence and float the ten miles to the access near the sewer treatment plant in Lolo. A paved bike path running from Missoula to Hamilton offers a fun alternative to the standard car-based shuttles. Don’t forget the obligatory stop at the Lolo Peak Brewery on your way back to Missoula. Lazy summer days on the Bitterroot. Just east of Missoula, the Blackfoot River and the Clark Fork meet at the former Milltown Dam site. The dam’s removal in 2010, followed by paddling access through the confluence in 2012, has been a boon for local paddlers, fish and river advocates. Popularized by Norman Maclean in A River Runs Through It, the Blackfoot is one of Montana’s most famous fishing rivers. It’s also one of the best intermediate SUP rivers around. The final 12 miles are the easiest sections to run, both logistically and skills-wise. For a great intro to the Blackfoot, head east up Highway 200 to Johnsrud Park Road and put in at “Johnsrud,” the Montana Fish Wildlife and Parks (FWP) access site a few hundred yards up the gravel road. You can float all they way back to “Weigh Station,” another FWP access site, just outside of Bonner. This 11.5-mile float takes anywhere from two hours at 2,000 CFS to a leisurely four at late summer flows. The Blackfoot is packed with boulders and gets shallow late in the year, so be on your game, wear a helmet and good footwear even if it looks mellow. 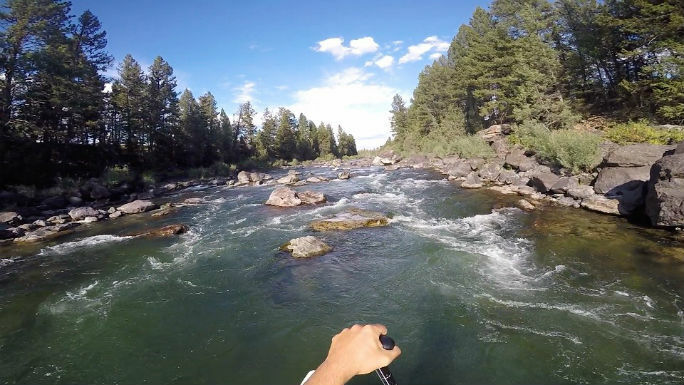 The Blackfoot is famous for a reason, it’s an amazing river and it can be packed. This stretch, and the Johnsrud access site particularly, can be a bit of a party scene. Grab a mesh trash bag at any grocery store and several gas stations in Missoula and pitch in by grabbing errant river trash. If you’re looking for something a bit sportier, the Blackfoot has some great Class II and a few Class III options. At Johnsrud Park Road, the river and Highway 200 separate, meeting again about 15 highway miles later. This FWP access site, Roundup, is named after the Blackfoot’s largest rapid, located directly upstream from the takeout. Halfway down the rutted, rocky Johnsrud Park Road sits Whittaker Bridge, an obvious access point. The Whittaker Bridge to Johnsrud run includes lots of fun boulder dodging and Class II Thibodeau Rapid, an exciting but manageable drop that requires a slight right turn and has a decent wave train at high and medium flows. If you put in at the Roundup access site and float to Whittaker Bridge, you miss the main Roundup rapid, but you start with a three-mile labyrinth of boulders that require some solid paddle work and good balance. The stretch ends in a mellow series of long riffles and deep pools framed by spectacular grey and rust colored cliffs, silvery green willows and shaded ponderosa and Doug-fir forests. If you want to challenge yourself on Roundup Rapid, stick to Highway 200 the entire drive and head to Russell Gates campground and fishing access site. Break out your helmet, because you’ll face about 12 miles of fast, rocky Class II water before getting to Roundup. The rapid itself features a big wave train leading to a drop. The river pushes you left, when you’d clearly prefer to be right. A giant rock sits at the base of the main wave train, just waiting to pin you. Lots of rafts get hung up here. With more boulders below the meatiest section of the rapid, there’s not a lot of recovery time, but there’s enough. I’ve broken my paddle in half on this rock and still been able to prone paddle to shore. 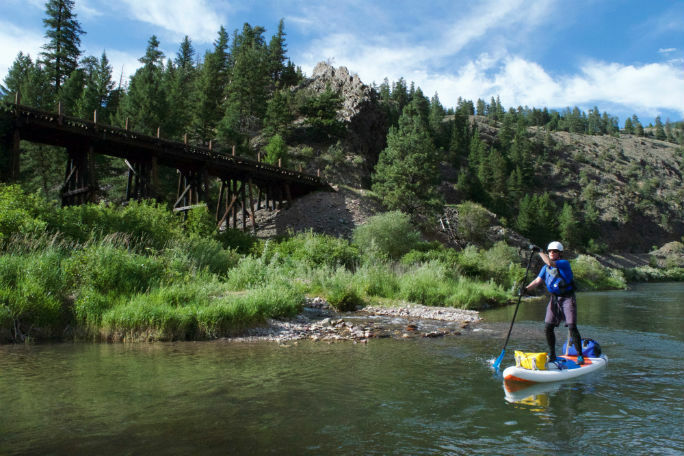 The ultimate test piece for local SUP paddlers and kayakers is the Clark Fork’s Alberton Gorge, a 20-mile stretch of the Clark Fork about 30 minutes west of Missoula on Interstate 90. 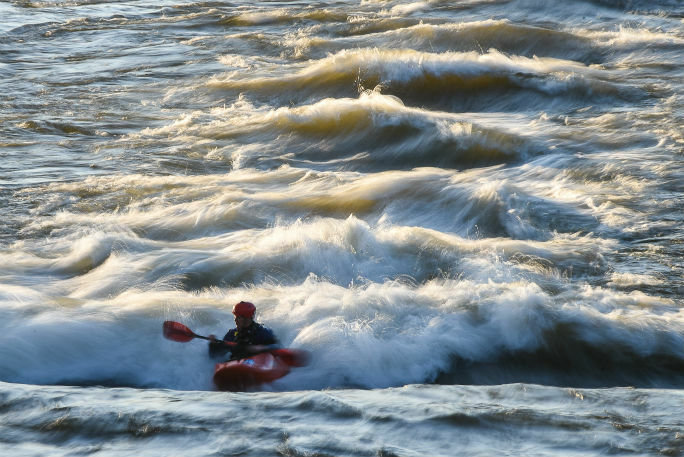 It’s a real-deal whitewater run that will challenge even the most expert stand up paddlers. 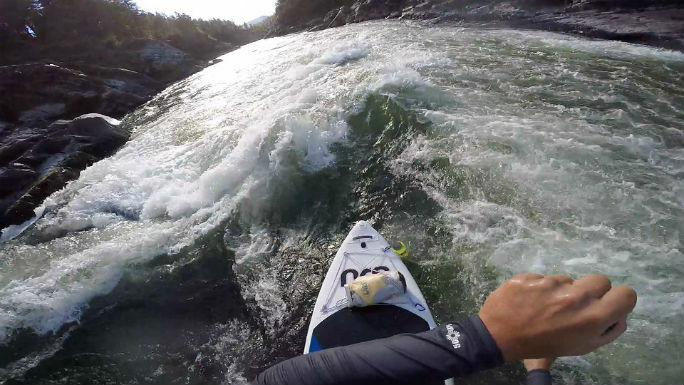 If you’re keen to give it an attempt, check out American Whitewater’s description of the run. Once you’ve paddled (or swum) your run of choice, it’s time to head back to town to toast the day’s adventure with a local beer (or several). If you get back early enough, the happy hour at Tamarack Brewing Company offers head-sized nachos or a plate of wings and fries for about ten bucks each. Across the street, the Top Hat slings great local burgers, tapas and tons of local beers. Both offer outdoor seating and the Top Hat books some amazing bands, so if you have the energy, consider sticking around for a show. Fans of local food and creative pizza have to sample Biga Pizza, just down the street. The “Flathead Cherry” mixes sweet cherries from the Flathead Valley north of Missoula with locally-produced sausage and smoked Gouda. It might be the best pizza I’ve ever had. Hiking, mountain biking and peak bagging keep Missoulians busy when they’re not on the water. Try the M Trail, one of the state’s most popular trails, to get a great view of the city from the giant M that stands guard halfway up Mt. Sentinel. If you have a bike in addition to your boat, head north through the tony Rattlesnake neighborhood to the Rattlesnake National Recreation Area to find some amazing singletrack. Regardless of where you spend your off-river time, Missoula is awash in colors, especially in the fall when larch trees paint the mountains bright yellow and the town’s maple-lined streets turn the color quotient up to eleven. 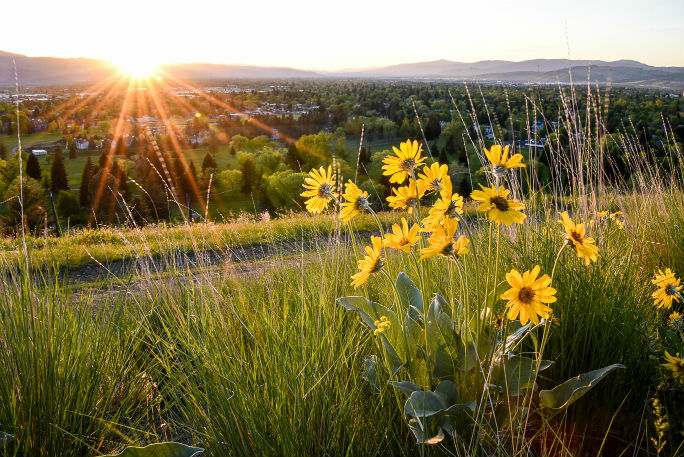 Missoula isn’t the prettiest mountain town and it isn’t the hippest. But that’s just how the locals like it. 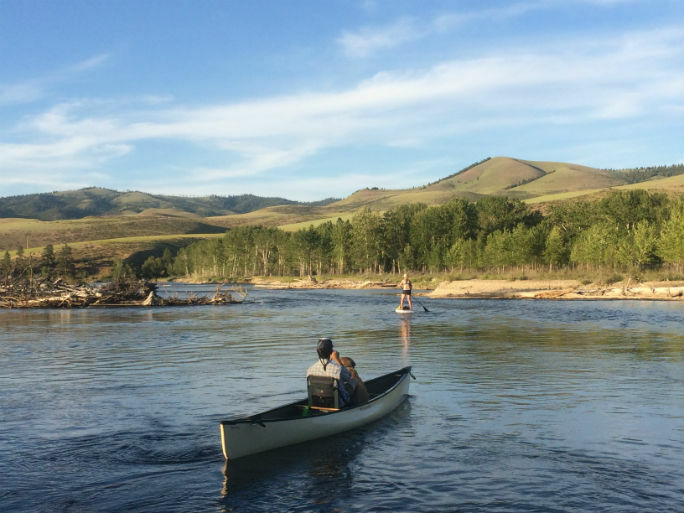 Whether sampling the abundant paddling, enjoying a local brew or savoring the view from the M, your time in Missoula will leave you wanting more.